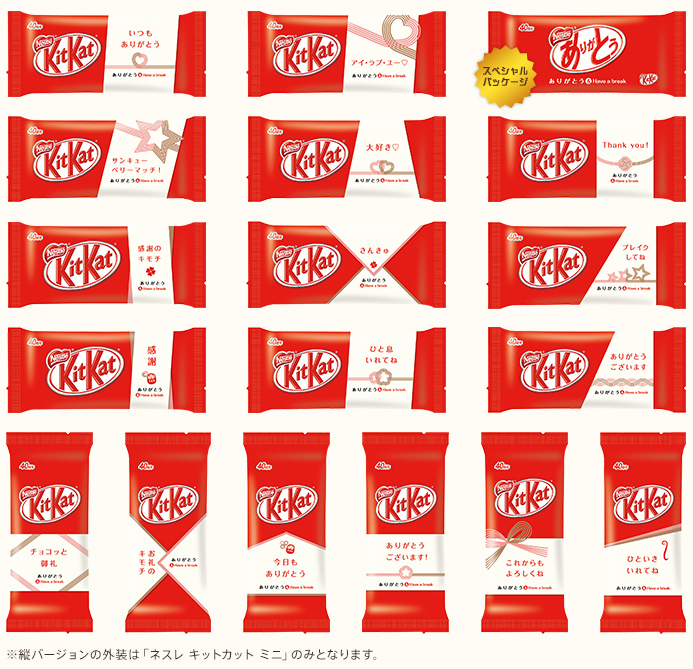 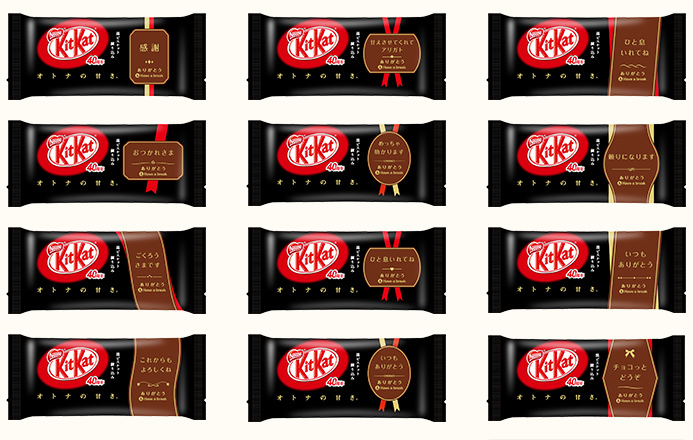 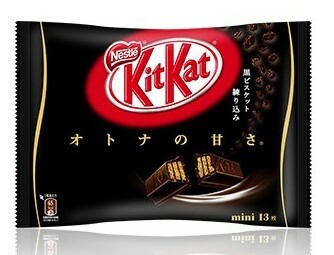 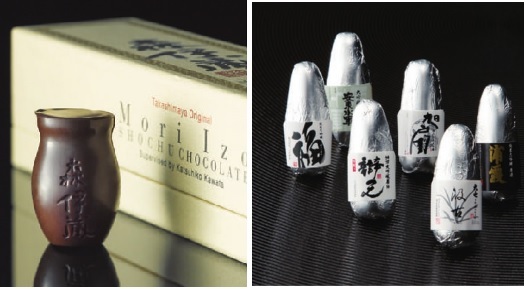 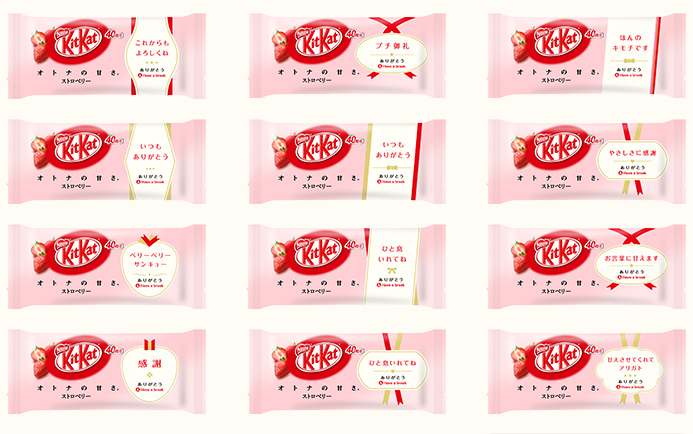 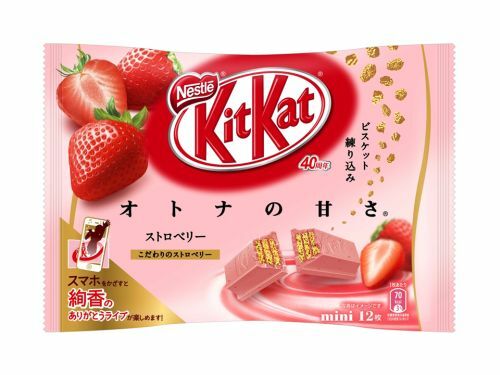 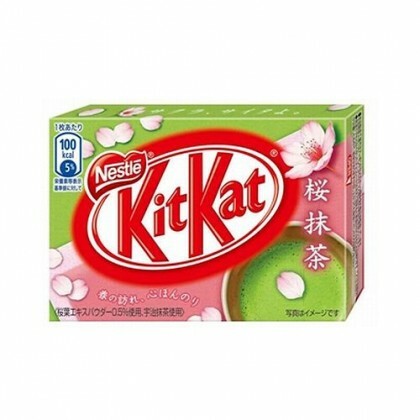 Nestle Japan gives a BIG "Thank you” to Japan with a limited edition Kit Kat! 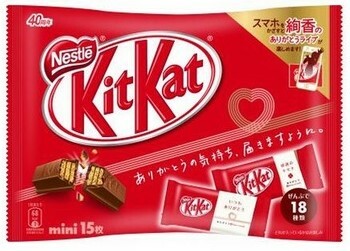 Celebrating the 40th anniversary release of Kit Kat in Japan and to show their gratitude, Nestle Japan has released a limited edition “Thank You” Kit Kat. 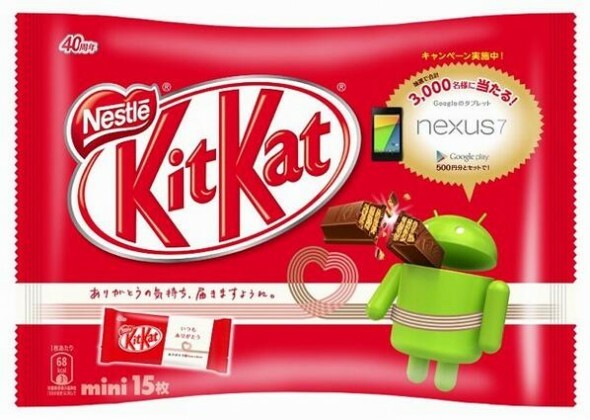 There are three chocolate flavors and an “Android Kit Kat” flavor, a collaboration between Kit Kat and Google. 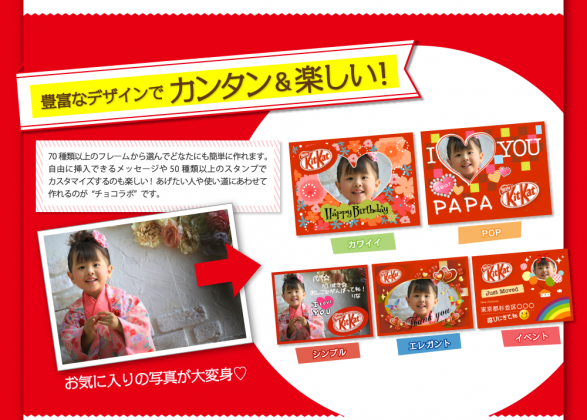 Each individual package has a message on it expressing gratitude. You can also write your own personal message for someone in a blank spot on the back of the wrapping. 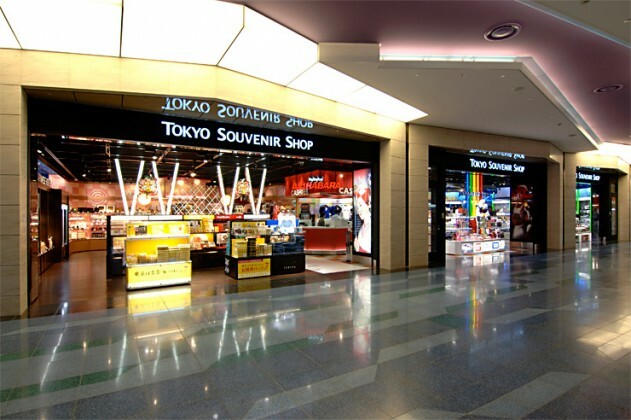 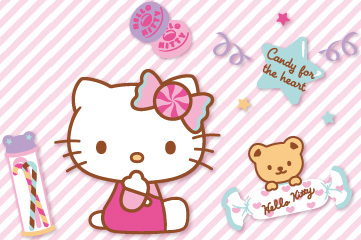 There are 18 different kinds of messages, such as “Thank you”, “Grateful”, “Take care”, “Have a break” and “I love you” in Japanese. 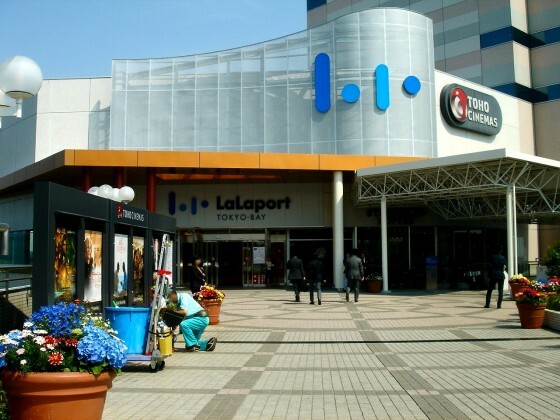 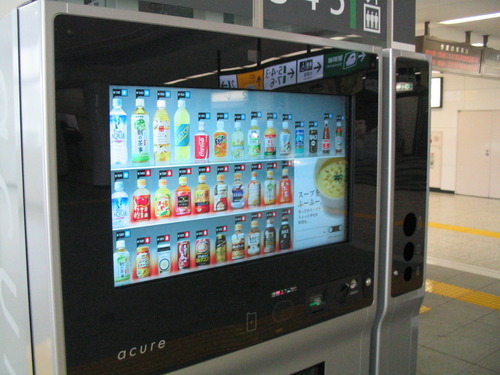 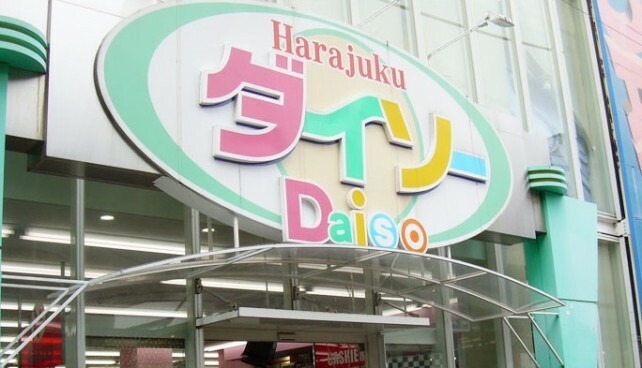 It's available in convenience stores and supermarkets in Japan.